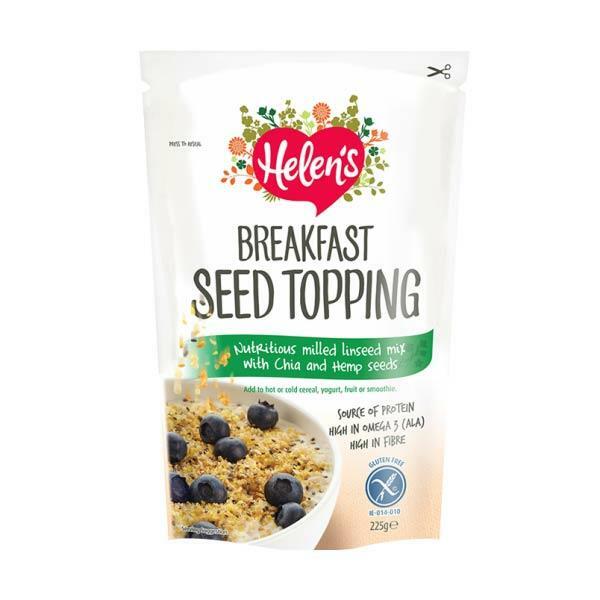 Helens Breakfast seed topping is a highly nutritious seed mix containing milled linseed, sunflower, pumpkin and chia seed with added goji berries. Perfect for adding to your cereal, fruit or smoothies. High in fibre and omega 3.